HTC plans to introduce a series of mid-tier and entry-level smartphones later this year as a way to regain market share, after posting disappointing financial results in the second quarter. HTC has struggled to lift its earnings over the past 18 months as its faced an increasingly competitive smartphone market. In response, the Taiwanese company has focused on boosting its brand name with its HTC One flagship series, along with spending more on marketing. During this year’s second quarter, the company’s newest HTC One handset was on sale globally. The high-end handset, priced at $599 without carrier subsidies, gained many positive reviews. But at the end of the period, the smartphone maker still posted an 83 percent year-over-year decline in net profit. Despite the recent string of weak quarterly earnings, HTC’s CFO Chialin Chang said the company will restore its profitability soon. Its newest HTC One device sold better than the flagship products the company had during the same period last year, he added. 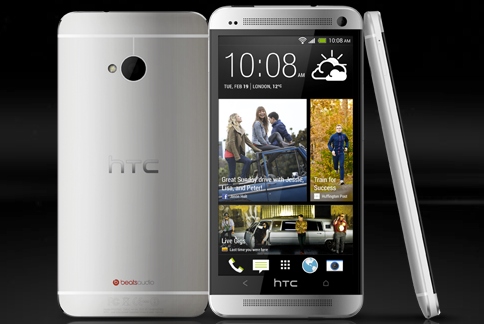 Earlier this month, HTC unveiled a new mini version of its HTC One handset that will arrive globally in September. The HTC One is actually a quality phone, but it may not be where the company invests its time and resources. The company expects the phone will help maintain its sale momentum, but HTC’s CEO also acknowledged that gaining product visibility in today’s market would be a challenge. “The market is a little confused right now. There are too many products coming out,” he said. “That’s why we are planning to have a new range of products to try and stay competitive in the market”. HTC, however, denied the company will move to purely selling low-end phones, and tried to reassure investors its current flagship phone was still selling well globally. “The HTC One will not just come out and die. The HTC One momentum continues to stay very, very strong,” he said. For this year’s third quarter, HTC projects its revenue will amount to NT$50 billion to NT$60 billion, a year-over-year decline of between 14 percent and 28 percent.